In the early 1990’s I went on a three week architectural driving tour of France and Northern Spain with two friends. 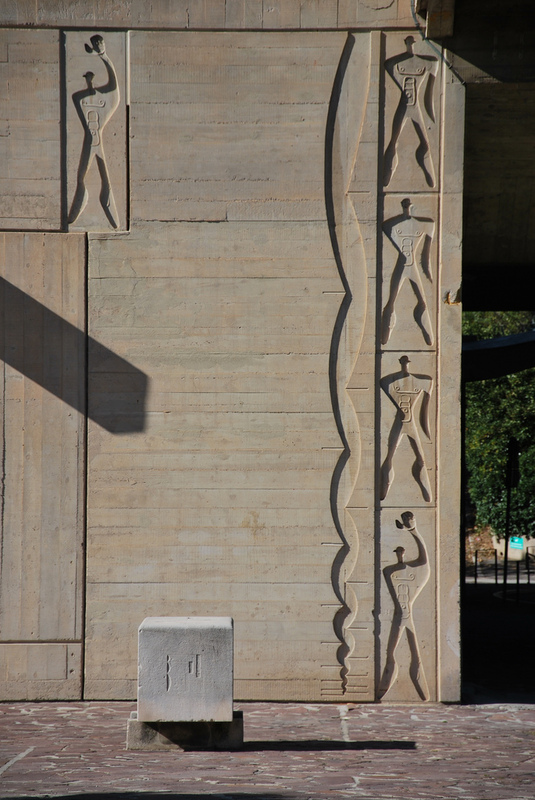 The focus of the trip was visiting buildings by Le Corbusier and we managed to visit Ronchamp, La Tourette and the Unité d’Habitation in Marseille. 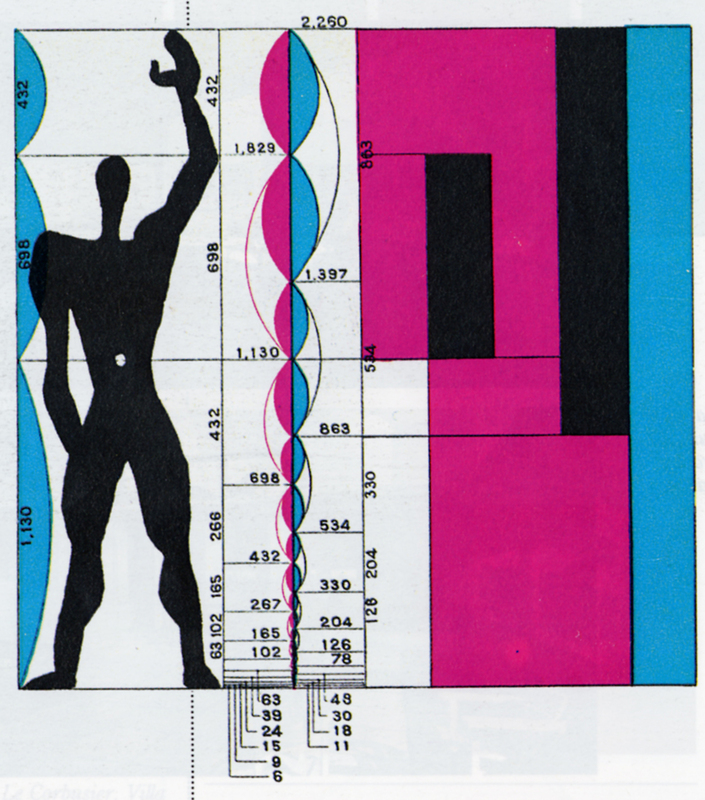 The Modulor was a system of proportional measurement devised and developed by Le Corbusier throughout the 1940’s. His intention was to create (as summarised by Einstein) “a scale of proportions which makes the bad difficult and the good easy”. By combining a number of seemingly incompatible systems: the Imperial and Metric systems, the Fibonacci Series and the Golden Section to name but a few, Le Corbusier hoped that his system would one day be used to standardise all aspects of construction throughout Europe, and possibly worldwide. He had patented the concept and was looking forward to huge financial reward. At the Unité in Marseille, the plan, section and elevations, the roof, the supporting columns and the plans and sections of the apartments, are all carefully governed by these measurements, as is the furniture design and setting out of the interiors. However, whilst the Unité buildings do indeed look amazing in the bright sunlighht of Southern France, a quick scan of the drawing to the right (showing the blue and red series of measurements) seems to suggest that there were a huge number of options available to choose from, and so getting all these various elements to appear harmonious was probably not that hard…. In the end, the system never caught on and has largely disappeared into the dusty oeuvre of Corbusier’s books and buildings. Personally I think this may have something to do with the appearance of the Modulor Man himself. Le Corbusier said that his starting point had been the height of a six foot English man standing with his arm raised, because in English detective novels, the good looking men are always six feet tall. Well I am both English and six feet tall (you would have to ask others bout being good looking) but either way, I would be very disappointed if I made this silhouette on a concrete wall…. I’m gone to say to my little brother, that he should also go to see this web site on regular basis to obtain updated from most up-to-date information.